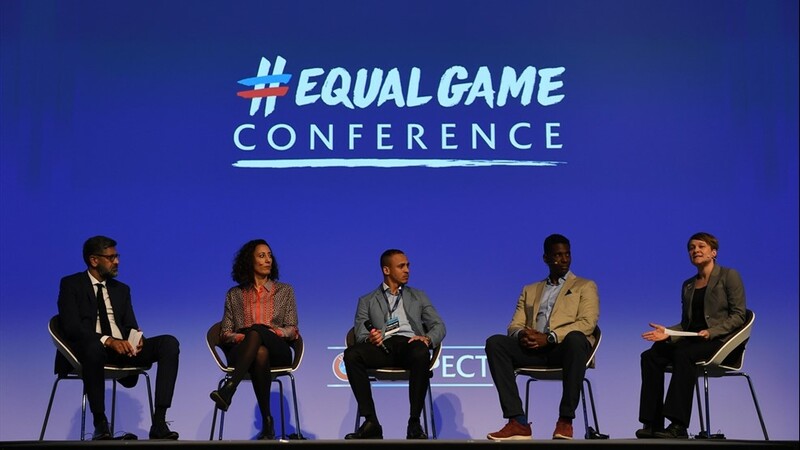 On the second day of the #EqualGame Conference organised by UEFA and the English FA, Yaya Touré, ex-Barcelona, Manchester City and Ivory Coast, Belgium coach Roberto Martínez, Rachel Yankey, the former England women’s international, Bibiana Steinhaus, the first woman referee to officiate at games in the German Bundesliga, and Jason Roberts, CONCACAF’s director of development, all appeared on the same panel to have their say on the need to crackdown on discrimination. There was powerful testimony from Roberts as he reflected on his uncle Cyrille Regis’s pioneering role as a black footballer enduring racist abuse in England in the 1970s and 80s. “He had to stand and endure that weekly,” said Roberts who went on to question the ongoing problem of a lack of opportunities in management positions for BAME (Black, Asian and minority ethnic) candidates in the English game. Roberts cited the way some young English players had responded to abuse recently.